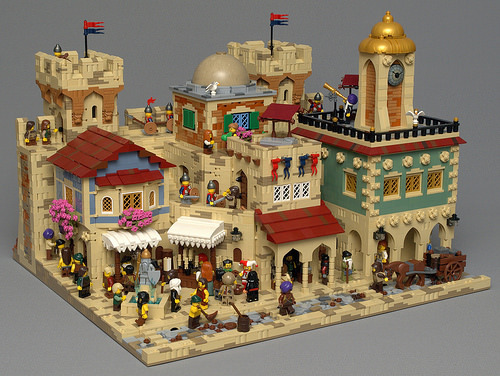 This fictional bazaar by Jonas Wide (Gideon_83) showcases beautiful Middle Eastern architecture not often depicted in Lego. At night the streets light up and the festivities continue. Check out more photos on Flickr.